Saute onion and garlic in olive oil in large saucepan until vegetables are tender. Add tomatoes and chicken stock. Bring to a boil; remove from heat. 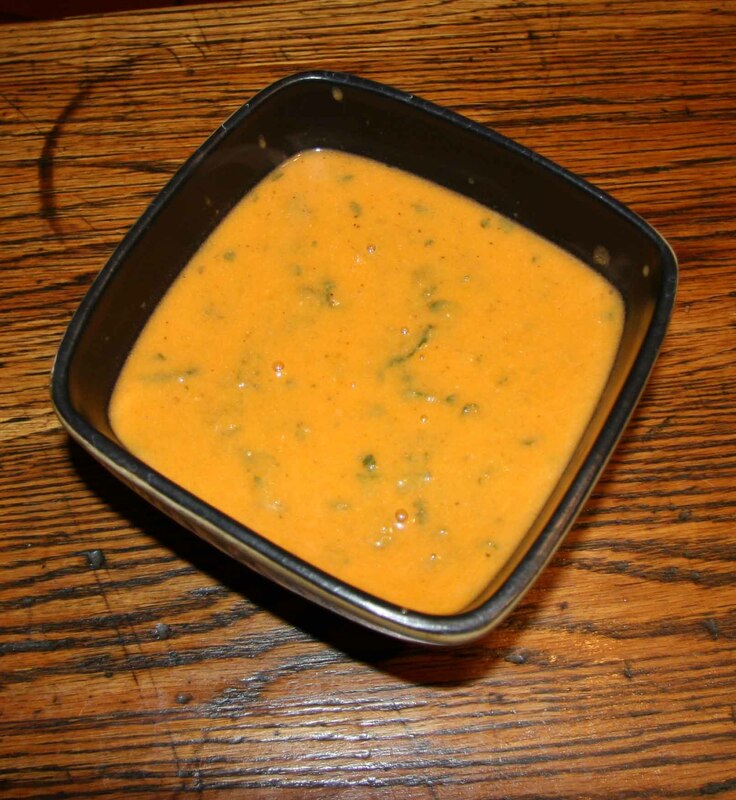 Blend soup with hand-held blender (or blend in batches). Add vinegar, cream, basil, krazy sea salt, soup seasoning and pepper. Serve with grilled ham and cheese sandwiches.